Wine sommeliers and salespeople can be guilty of using certain language when describing wines that can sooner offer confusion than clarity for the thirsty consumer. While these phrases may be familiar to the seasoned industry professional, they leave much to be explained to the regular wine drinker who just wants to know what they are getting in their glass. Here, we reveal the hidden meaning behind seven common cryptic wine sayings. Complexity refers to the variety of different aromas and flavours that are expressed in a wine and how they interact with each other. If you can list off a wide range of different flavour characteristics when tasting a wine, whether they are fruits, flowers, buttery notes or spices, and find that they all fit well with each other, then the wine is said to have complexity, which is often associated with quality. Contrary to how it sounds, this does not mean the wine has cork physically in it. It is used to refer to a specific wine fault that causes the wine to smell like mildew or damp cardboard and supresses its fruity flavours. The most significant compound responsible for the aroma, known as TCA, is usually transferred into the wine via the cork, hence the term ‘corked’ or ‘cork taint’. A term that is often thrown around with little additional explanation, is a little hard to define. ‘Body’ describes how the wine feels in the mouth. If you think of water as light and cream as full, this will give you a good base for comparison. High acid wines made from Sauvignon Blanc or Pinot Noir are typically on the lighter end, while oaked, warm-climate Chardonnays or ‘big’ reds like Cabernet Sauvignon are usually described as full. Alcohol, tannin and flavour intensity all contribute to the sense of body, while high levels of acidity can make a wine seem lighter. This is used to refer to the top ranked chateaux in Bordeaux, according to their various classifications. In the Medoc sub-region, for example, ‘first growth’ refers to one of the top five chateaux ranked according to a classification that took place as long ago as 1855. These wines are sometimes referred to by the French term ‘Premier Cru’, though it’s important not to confuse this with the term ‘premier cru’ in Burgundy, which is used to refer to land rather than a specific producer. This is a French term which is often used on a wine bottle label to indicate that the producer believes it is the best wine they produce. While it may very well be a fantastic wine, the phrase itself is unregulated and gives no guarantee that ‘grand’ will equate to ‘great’ or even ‘good’, but it can come with a higher price tag nonetheless. While there is no strict definition for the term, this is generally used to describe wines that have had little or no intervention in terms of man-made chemicals. Vineyards are usually farmed sustainably, organically or biodynamically using natural treatments and fertilisers. Grapes are often hand-harvested, and wines are fermented with wild yeast, without additives and minimal additions of sulphur dioxide. They are often only lightly filtered prior to bottling – the wines often have notable yeasty flavours and may look slightly hazy in the glass. Possibly the most complicated term to explain as it takes many different factors into consideration. The ‘terroir’ refers to the natural environment where the grapes have been grown. It encompasses everything that makes a site unique, including its climate, soil and topography. These all play a vital role in determining the ultimate taste and quality of the wine that is produced, but what is best for one region may not be ideal for another. If you’re often left stumped by technical wine terminology, a WSET qualification will equip you with the knowledge to decrypt any wine list or bottle. On a WSET course you’ll not only learn the world’s top wine producing regions and the typical styles they produce, but also how to taste and describe them professionally using universal wine language and the common production techniques that lead them to taste the way they do. 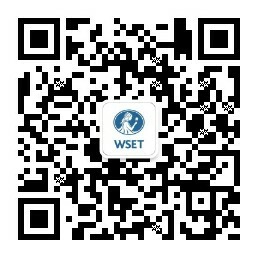 To find a wine WSET course provider near you visit the Where to Study page.